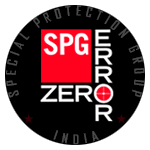 This is the official Website of Special Protection Group, Cabinet Secretariat, Government of India. Website designed & developed by Digital Security Branch, Special Protection Group, Government of India. All rights reserved.